Former Tigers pitcher Jack Morris Morris is one failed vote away from joining Gil Hodges as the only players to reach 60 percent in the voting and not get into the Hall of Fame. DETROIT — The final countdown has made its way to Jack Morris’ doorstep. This is his last year on the Hall of Fame ballot voted upon by long-time members of the Baseball Writers’ Association of America. Players have 15 years to get in, and the ace of the 1984 World Series champion Tigers has reached the limit. I thought he was going to clear the 75-percent vote threshold required last year. He’d spiked from 53.5 to 66.7 percent the year before. But his 2013 increase was a measly one percent, and Morris fell 42 votes short of the required 427 from the 569 ballots submitted. 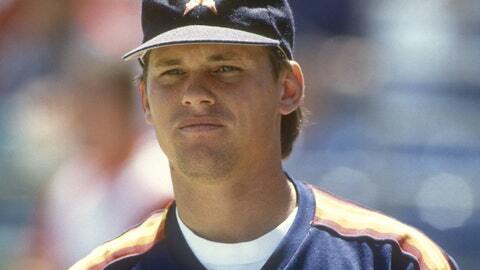 A Craig Biggio supporter crafts a compelling argument for his Hall of Fame selection. Voting was completed Dec. 31. At 2 p.m. Wednesday, the Class of 2014 will be announced. Will Morris join first-ballot nominees Greg Maddux, Tom Glavine and Frank Thomas? I see Maddux and Thomas as locks, and Glavine as a very likely choice. Having three great candidates arrive on his final year didn’t help Morris. We’re allowed to vote for up to 10, but there are voters who refuse to choose more than two or three in a given year. There hasn’t been a BBWAA class with four players in it since Joe DiMaggio, Gabby Harnett, Ted Lyons and Dazzy Vance in 1955. The last time even a trio made it together was 1999, with George Brett, Nolan Ryan and Robin Yount. Still, on his merit alone, does Morris deserve enshrinement at Cooperstown? Bob Nightengale, USA Today: "Yes. 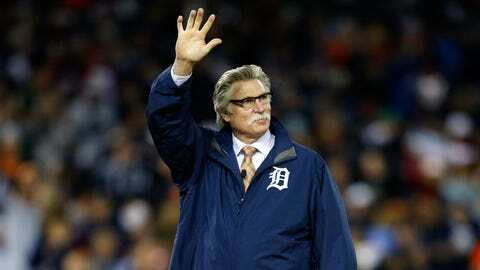 I vote for Jack Morris every single year. Simply, he was the best pitcher of the ’80s and one of the greatest postseason pitchers of all time. I think it will be a travesty for him not to be in Hall of Fame." Ken Rosenthal, FOXSports.com: "I did not vote for Jack because his 3.90 ERA would be the highest of any pitcher in the Hall. I greatly admired him, but feared that his election would lower the standards of Cooperstown." Richard Justice, MLB.com: "I voted for Jack. All the usual reasons. Led MLB in wins and complete games in ’80s … 14 Opening Day starts … six Game 1 starts … A horse." Nick Cafardo, Boston Globe: "I did. I was convinced several years ago that he was a Hall of Famer. I believe he rose to the occasion in the biggest moments and also had the numbers to support my vote." Three "yes" votes and one "no" vote — 75 percent for Morris. If only it were that simple for the greatest Tigers pitcher in the half century between Hall of Famer Hal Newhouser and Justin Verlander. I’ve voted for Morris in 15 consecutive years, partly because of his 162 victories in the 1980s — 22 more than runner-up Dave Stieb has. More important, Morris was the pitcher from his generation who most deserved the ball in the deciding game of a World Series. He struck fear into opponents, which isn’t given enough consideration in these sabremetric times. You can’t measure fear, so the 3.90 ERA gets too much consideration because it’s something more tangible. I’ll share with the ERA-blinded something Tigers shortstop great Alan Trammell told me last year. He’s as good a big-game pitcher as I’ve seen. "If a game was 7-1 for Jack, it would usually end up a 7-4 win," Trammell said. "He threw strikes with that kind of lead, and if he gave up some solo homers, so be it. But if it was 3-2 or 2-1, it was going to stay right there with Jack." Roger Craig, the pitching coach who taught Morris the split-finger pitch, said of Morris: "Of all the pitchers I’ve ever been around — Sandy Koufax, Don Drysdale, Jim Bunning, Don Newcombe — he’s as good a big-game pitcher as I’ve seen." It’s interesting that in 2011, Morris had more votes than Barry Larkin. But while Larkin was elected in 2012, Morris was not. Now Morris is one failed vote away from joining Gil Hodges as the only players to reach 60 percent in the voting and not get in. Or Morris, who won 254 games, could become the third player to get in on his final chance, joining Jim Rice in 2009 and Red Ruffing in 1967. It’s true that he never won a Cy Young Award, but you should know that Mariano Rivera shares that slight. Sports Illustrated’s Tom Verducci is one of Morris’ most vocal supporters. Last month, Verducci wrote, "Morris has received 2,873 votes, the most ever by anyone on the wrong side of election. As the classic borderline candidate, there is a case to be made on both sides, but no room for personal vitriol. "If you prefer a statistical autopsy to determine your Hall of Famers, you probably will find Morris lacking. Many of the rate numbers aren’t pretty enough. But using another set of numbers, there is no denying the volume and impact of what Morris did." Verducci pointed out that no starting pitcher debuting since 1971 has been inducted in Cooperstown, referring to it as the "Dark Ages" and calling Morris the last hope for that era. Maddux will be the first starter elected by the BBWAA who made his debut after Bert Blyleven’s in 1970. Maddux broke in with the Chicago Cubs in 1986. Verducci added: "If Morris fails to gain election, he drops off the writers’ ballot. Under current rules he would have to wait until December 2016 for a 16th try at enshrinement. "That’s when he would be eligible for consideration by the 16-person committee chosen by the Hall of Fame to vote on the next Expansion Era ballot." It shouldn’t have to come to that for Morris. He deserves to go into the Hall through the front door.